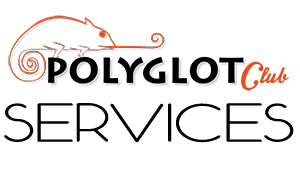 1.1 https://polyglotclub.com/services (“Website”) is an Internet based portal owned and operated by Polyglot Services, a company incorporated under the laws of France. Use of the Website is offered to You conditioned on acceptance of all the terms, conditions and notices contained in these Terms, along with any amendments made by Polyglot Services at its sole discretion and posted on the Website, including by way of imposing an additional charge for access to or use of a Service. 3.1 The Services are not available to minors under the age of thirteen (13) or to any Users suspended or removed from the Polyglot Services system by Polyglot Services for any reason whatsoever. If You do not conform to the above qualification, You shall not be permitted to avail of the Services or use the Website. You represent that You are of legal age to form a binding contract and are not a person barred from receiving services under the laws as applicable in France. Notwithstanding the foregoing, if You are below the age of thirteen (13) years, You may avail the Services provided by Polyglot Services through Your legal guardian in accordance with the applicable laws. 3.2 Polyglot Services reserves the right to refuse access to use the Services offered at the Website to new Users or to terminate access granted to existing Users at any time without according any reasons for doing so. 3.3 You shall not have more than one active Account on the Website. Additionally, You are prohibited from selling, trading, or otherwise transferring Your Account to another party. 4.2 The Website requires You to register as a User by creating an Account in order to avail of the Services provided by the Website. You will be responsible for maintaining the confidentiality of the Account Information, and are fully responsible for all activities that occur under Your Account. You agree to (a) immediately notify Polyglot Services of any unauthorized use of Your Account Information or any other breach of security, and (b) ensure that You exit from Your Account at the end of each session. Polyglot Services cannot and will not be liable for any loss or damage arising from Your failure to comply with this Section 4.2. You may be held liable for losses incurred by Polyglot Services or any other user of or visitor to the Website due to authorized or unauthorized use of Your Account as a result of Your failure in keeping Your Account Information secure and confidential. 4.3 The Website also allows restricted access to the Services for unregistered Users. 4.4 You shall ensure that the Account Information provided by You in the Website’s registration form is complete, accurate and up-to-date. Use of another user’s Account Information for availing the Services is expressly prohibited. 4.5 If You provide any information that is untrue, inaccurate, not current or incomplete (or becomes untrue, inaccurate, not current or incomplete), or Polyglot Services has reasonable grounds to suspect that such information is untrue, inaccurate, not current or incomplete, Polyglot Services has the right to suspend or terminate Your Account and refuse any and all current or future use of the Website (or any portion thereof). 5.1 Polyglot Services follows a fixed pricing model. As buyers, you will see the pricing is based on the level of the Seller (check Levels page for reference). Polyglot Services strives to provide You with the best prices possible on services You buy or avail of from the Website, at the same time making services available to a wider crowd at the affordable rates. The pricing details for purchase of services from the Website are detailed under the Terms of Sale. 5.2 You agree to provide correct and accurate credit/ debit card details to the approved payment gateway for availing Services on the Website. You shall not use the credit/ debit card which is not lawfully owned by You, i.e. in any transaction, You must use Your own credit/ debit card. The information provided by You will not be utilized or shared with any third party unless required in relation to fraud verification or by law, regulation or court order. You will be solely responsible for the security and confidentiality of Your credit/ debit card details. Polyglot Services expressly disclaims all liabilities that may arise as a consequence of any unauthorized use of Your credit/ debit card. 5.3 Polyglot Services shall be under no liability whatsoever in respect of any loss or damage arising directly or indirectly out of the decline of authorization for any transaction, on account of you/cardholder having exceeded the preset limit mutually agreed by Polyglot Services with our acquiring bank from time to time. 6.4 You agree not to access (or attempt to access) the Website and the materials or Services by any means other than through the interface that is provided by Polyglot Services. You shall not use any deep-link, robot, spider or other automatic device, program, algorithm or methodology, or any similar or equivalent manual process, to access, acquire, copy or monitor any portion of the Website or Content (as defined below), or in any way reproduce or circumvent the navigational structure or presentation of the Website, materials or any Content, to obtain or attempt to obtain any materials, documents or information through any means not specifically made available through the Website. 6.5 You acknowledge and agree that by accessing or using the Website or Services, You may be exposed to content from other users that You may consider offensive, indecent or otherwise objectionable. Polyglot Services disclaims all liabilities arising in relation to such offensive content on the Website. Further, You may report such offensive content in the manner prescribed under Section 17 herein. • Collect or store data about other users in connection with the prohibited conduct and activities set forth in this Section. • Reverse engineer, modify, copy, distribute, transmit, display, perform, reproduce, publish, license, create derivative works from, transfer, or sell any information or software obtained from the Website. 6.8 You agree and acknowledge that Polyglot Services is not the seller of the products and the services and Polyglot Services shall in no manner be deemed to be the seller of the services on this Website. Polyglot Services is only facilitating purchase of the services by You from the Seller by providing the Services to You. 6.9 You agree that Polyglot Services may, at any time, modify or discontinue all or part of the Website, charge, modify or waive fees required to use the Website, or offer opportunities to some or all Website Users. • You may not remove any text, copyright or other proprietary notices contained in the portfolios or any other materials available on the Website. 7.2 The rights granted to You in the seller portfolios any other materials as specified above are not applicable to the design, layout or look and feel of the Website. Such elements of the Website are protected by intellectual property rights and may not be copied or imitated in whole or in part. The seller portfolios or any other materials available on the Website may not be copied or retransmitted unless expressly permitted by Polyglot Services. 8.4 Polyglot Services shall be under no liability whatsoever in respect of any loss or damage arising directly or indirectly out of the decline of authorization for any transaction, on account of you/cardholder having exceeded the preset limit mutually agreed by Polyglot Services with our acquiring bank from time to time. 9.1 The Website and the processes, and their selection and arrangement, including but not limited to all text, graphics, user interfaces, visual interfaces, sounds and music (if any), artwork and computer code (collectively, the “Content”) on the Website is owned and controlled by Polyglot Services and the design, structure, selection, coordination, expression, look and feel and arrangement of such Content is protected by copyright, patent and trademark laws, and various other intellectual property rights. 9.2 The trademarks, logos and service marks displayed on the Website (“Marks”) are the property of Polyglot Services or their sellers or respective third parties. You are not permitted to use the Marks without the prior consent of Polyglot Services, the seller or the third party that may own the Marks. 9.3 Unless otherwise indicated or anything contained to the contrary or any proprietary material owned by a third party and so expressly mentioned, Polyglot Services owns all intellectual property rights to and into the trademark “Polyglot Services”, and the Website, including, without limitation, any and all rights, title and interest in and to copyright, related rights, patents, utility models, designs, know-how, trade secrets and inventions (patent pending), goodwill, source code, meta tags, databases, text, content, graphics, icons, and hyperlinks. 9.4 Except as expressly provided herein, You acknowledge and agree that You shall not copy, republish, post, display, translate, transmit, reproduce or distribute any Content through any medium without obtaining the necessary authorization from Polyglot Services or thirty party owner of such Content. The Website makes available general third party information such as, portfolios, reports on news, entertainment, technology and features, advertisements including videos, images and photographs of the services and other data from external sources (“Third Party Content”). Similar Third Party Content would also be available to You for viewing and for comprehension purposes only. The provision of Third Party Content is for general informational purposes only. You acknowledge that the Third Party Content provided to You is obtained from sources believed to be reliable. Polyglot Services does not provide any guarantee with respect to any the Third Party Content and Polyglot Services shall not be held liable for any loss suffered by You based on Your reliance on or use of such data. 11.2 TO THE MAXIMUM EXTENT PERMITTED BY APPLICABLE LAW, Polyglot Services WILL HAVE NO LIABILITY RELATED TO USER CONTENT ARISING UNDER INTELLECTUAL PROPERTY RIGHTS, LIBEL, PRIVACY, PUBLICITY, OBSCENITY OR OTHER LAWS. Polyglot Services ALSO DISCLAIMS ALL LIABILITY WITH RESPECT TO THE MISUSE, LOSS, MODIFICATION OR UNAVAILABILITY OF ANY USER CONTENT. 11.3 Polyglot Services WILL NOT BE LIABLE FOR ANY LOSS THAT YOU MAY INCUR AS A CONSEQUENCE OF UNAUTHORIZED USE OF YOUR ACCOUNT OR ACCOUNT INFORMATION IN CONNECTION WITH THE WEBSITE OR ANY SERVICES OR MATERIALS, EITHER WITH OR WITHOUT YOUR KNOWLEDGE. Polyglot Services HAS ENDEAVORED TO ENSURE THAT ALL THE INFORMATION ON THE WEBSITE IS CORRECT, BUT Polyglot Services NEITHER WARRANTS NOR MAKES ANY REPRESENTATIONS REGARDING THE QUALITY, ACCURACY OR COMPLETENESS OF ANY DATA, INFORMATION, PRODUCT OR SERVICE. Polyglot Services SHALL NOT BE RESPONSIBLE FOR THE DELAY OR INABILITY TO USE THE WEBSITE OR RELATED FUNCTIONALITIES, THE PROVISION OF OR FAILURE TO PROVIDE FUNCTIONALITIES, OR FOR ANY INFORMATION, SOFTWARE, PRODUCTS, FUNCTIONALITIES AND RELATED GRAPHICS OBTAINED THROUGH THE WEBSITE, OR OTHERWISE ARISING OUT OF THE USE OF THE WEBSITE, WHETHER BASED ON CONTRACT, TORT, NEGLIGENCE, STRICT LIABILITY OR OTHERWISE. FURTHER, Polyglot Services SHALL NOT BE HELD RESPONSIBLE FOR NON-AVAILABILITY OF THE WEBSITE DURING PERIODIC MAINTENANCE OPERATIONS OR ANY UNPLANNED SUSPENSION OF ACCESS TO THE WEBSITE THAT MAY OCCUR DUE TO TECHNICAL REASONS OR FOR ANY REASON BEYOND Polyglot Services ‘S CONTROL. THE USER UNDERSTANDS AND AGREES THAT ANY MATERIAL OR DATA DOWNLOADED OR OTHERWISE OBTAINED THROUGH THE WEBSITE IS DONE ENTIRELY AT THEIR OWN DISCRETION AND RISK AND THEY WILL BE SOLELY RESPONSIBLE FOR ANY DAMAGE TO THEIR COMPUTER SYSTEMS OR LOSS OF DATA THAT RESULTS FROM THE DOWNLOAD OF SUCH MATERIAL OR DATA. Polyglot Services IS NOT RESPONSIBLE FOR ANY TYPOGRAPHICAL ERROR LEADING TO AN INVALID COUPON. Polyglot Services ACCEPTS NO LIABILITY FOR ANY ERRORS OR OMISSIONS, WITH RESPECT TO ANY INFORMATION PROVIDED TO YOU WHETHER ON BEHALF OF ITSELF OR THIRD PARTIES. 11.4 Polyglot Services SHALL NOT BE LIABLE FOR ANY THIRD PARTY PRODUCT OR SERVICES. THE ADVERTISEMENT AVAILABLE ON E-MAIL OR WEBSITE WITH RESPECT TO THE THIRD PARTY WEBSITE OR THE PRODUCTS AND SERVICES ARE FOR INFORMATION PURPOSE ONLY. 12.3 In no event shall Polyglot Services, its officers, directors, employees, partners or suppliers be liable to You, the seller or any third party for any special, incidental, indirect, consequential or punitive damages whatsoever, including those resulting from loss of use, data or profits, whether or not foreseeable or whether or not Polyglot Services has been advised of the possibility of such damages, or based on any theory of liability, including breach of contract or warranty, negligence or other tortious action, or any other claim arising out of or in connection with Your use of or access to the Website, Services or materials. 13.2 You agree that Polyglot Services may, in its sole discretion, and without prior notice, terminate Your access to the Website, for cause, which includes (but is not limited to): (1) requests by law enforcement or other government agencies; (2) a request by You (self-initiated account deletions); (3) discontinuance or material modification of the Website or any service offered on or through the Website; or (4) unexpected technical issues or problems. 14.3 Polyglot Services may also terminate or suspend all or a portion of Your account or access to the Services with or without reason. Except as may be set forth in any Additional Terms applicable to a particular Service, termination of Your Account may include: (i) removal of access to all offerings within the Website or with respect to the Services; (ii) deletion of Your materials and Account Information, including Your personal information, log-in ID and password, and all related information, files and materials associated with or inside Your Account (or any part thereof); and (iii) barring of further use of the Services. 14.4 You agree that all terminations shall be made in Polyglot Services’s sole discretion and that Polyglot Services shall not be liable to You or any third party for any termination of Your Account (and accompanying deletion of Your Account Information), or Your access to the Website and Services. 14.6 If You or Polyglot Services terminates Your use of the Website, Polyglot Services may delete any content or other materials relating to Your use of the Website and Polyglot Services will have no liability to You or any third party for doing so. 14.7 On the termination of the complete Website, all the outstandings for all the sellers will be solely cleared by Polyglot Services as per the delegated time from the Third Party Payment Gateway Service, though Polyglot Services shall not be responsible for any other liability for Your services or transactions. 18.1 You hereby expressly agree to receive communications by way of SMS, e-mails from Polyglot Services relating to Services provided through the Website. Any feedback You provide to this Website shall be deemed to be non-confidential. Polyglot Services shall be free to use such information on an unrestricted basis. Further, by submitting the feedback, You represent and warrant that (i) Your feedback does not contain confidential or proprietary information of You or of third parties; (ii) Polyglot Services is not under any obligation of confidentiality, express or implied, with respect to the feedback; (iii) Polyglot Services may have something similar to the feedback already under consideration or in development; and (iv) You are not entitled to any compensation or reimbursement of any kind from Polyglot Services for the feedback under any circumstances. 21.1 Levels will be associated to the user’s email id. 21.2 Levels cannot be transferred from one account to another. 21.4 Levels cannot be redeemed for cash/voucher/coupons/offers unless as expressed by Polyglot Services. 21.5 Levels can be credited only by activities and sales and not by the amount spent by the Seller on the promotions on the Website. 21.6 Polyglot Services reserves the right to decide/alter/change the expiration period of the activities at any time with or without notice. 21.7 Polyglot Services reserves the right to promote or demote the validity of Levels associated to any activity. 21.8 Polyglot Services has no obligation to compensate the customer after the termination/downgrade/ demotion/reduction of the Level and its Seller’s sole responsibility to maintain the Level. 21.9 Polyglot Services reserves the right at any time, without notice, to add/alter/change/or vary any or all of these terms and conditions or to replace, wholly or in part, the Level feature with any other feature, whether similar to this or not, or to withdraw it altogether. 21.10 Polyglot Services reserves the right to disqualify any users from the benefits mention herein above. In case of any fraudulent activity, prosecution will be carried out against the concerned users.